This inspirational memoir, told with uncensored Southern wit and guidance, recounts the story of a Hollywood film executive who journeys through the cosmic wilderness and, against all odds, discovers psychic superpowers that radically transform her life. As a senior executive at one of the world’s largest movie studios, Julie Rieger spent her days marketing the imaginary stories of ghosts, faeries, superheroes, aliens, and more fantastical creatures. But after the devastating loss of her mother, the world of make-believe became reality when Julie captured her first ghost in a photograph and blew open a door to the Other Side. The Ghost Photographer chronicles Julie’s wild ride down the spiritual rabbit hole. After a series of unexpected, mind-blowing, and sometimes frightening encounters with the spirit realm, Julie was forced to face this strange awakening, flying in the face of scientific dogma and her own die-hard skepticism. Ultimately, she discovered that what she thought she had lost with the death of her mother—unconditional love—was in fact the greatest superpower one can wield. In a refreshing departure from traditional supernatural tales, Julie tells her story with bold humor and total candor. Her journey juxtaposes her down-home roots in rural America with the glam of Hollywood and her professional universe of hard, empirical data. As she fine-tunes her psychic abilities and comes to terms with the transformative power of grief, Julie is empowered to fearlessly tell her story, teach others, and invite them to share their own experiences of the paranormal and unexplained. She offers insights into our relationship with the spirit world, prayers and rituals for cleansing and protecting our homes from unwanted ghosts, and guidance on how to develop our intuition and sixth sense. "Love love love it! 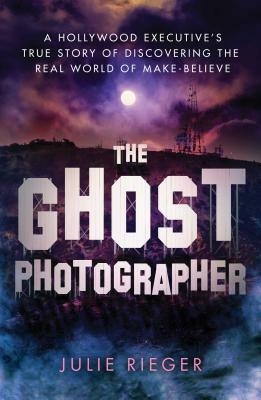 The Ghost Photographer unfolds into a wondrous journey. The 'ah ha' moments are restorative and provide a spirited ride into an unknown world for some and a gentle reminder for others to continue down their paths. And, for those of you who want Julie to clear their homes—the front of the line starts with me!" "The Ghost Photographer is a hugely entertaining must-read for anyone who’s ever struggled with loss or wondered what might be beyond the veil of our five senses. Julie, fierce and funny, puts a whole new spin on the term "ghost-buster" in this fascinating journey to the Other Side. Told with incredible wit and down-home humor, Julie captured me from page one as her journey unfolded from skeptic to believer, from curious questioner to fearless adventurer." "I love this book. Julie takes the 'para' out of paranormal. Her everyday life is stranger than fiction and she shares her remarkable journey into the spirit realm with sharp humor and a good dose of skepticism." "A good primer on getting into the psychic realm, this is also, ultimately, a story of unconditional love and healing by a woman you might just want to have a drink with."